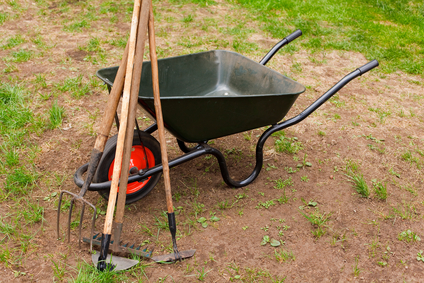 You've watched your lawn go from green to weed and it's time to make a change. Your weeds have slowly but surely taken root and you need a weed control service as soon as possible. So, what do you do, grab some tools and go to work? While this can be accomplished in time you may be in a position where this just isn't feasible. You need an experienced Norfolk company that specializes in weed control. If this is the case look no further than Ace Of Spades Landscaping Services to get the job done right the first time. Hog weed which can create serious issues for your lawn. If you do locate these plants on your property be aware that it is the homeowners responsibility to make sure they do not spread to neighboring properties or into wilderness areas surrounding your home. With all the different types of weeds and possibilities available to eradicate them, it's important to realize that there is help out there. If the job is too tough and you need some help check no further than Ace Of Spades Landscaping Services to get the job done correctly. Located in Norwich, Norfolk, the Ace Of Spades is a leading expert in weed removal.